The skiing centre Erika Skipark at Kojšovská hoľa mountain is situated 25 km north-west of Košice in Volovské vrchy hills. The dominant of the centre is Kojšovská hoľa mountain (1246 m above sea level) offering a beautiful panoramic view of the surrounding villages and mountain ranges. In addition to the High Tatras you will also see parts of the Ukraine and Hungary. 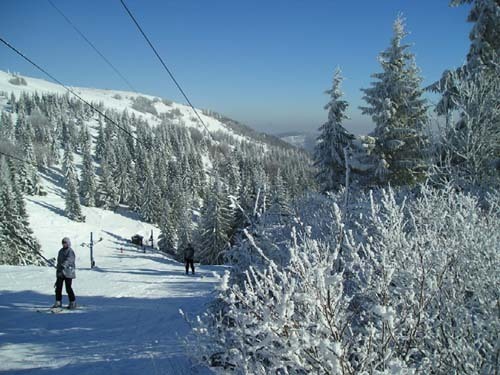 The centre is accessible from the valley parking at Zlatá Idka village with a 3-chair lift. The lift serves the easy downhill track Tourist I with the length of 2,200 m operated all the time there is sufficient natural snow cover. In the upper part of the centre there are 3 ski lifts. Then there are two medium-demanding downhill ski slopes called Racing I (920 m) and Racing II (850 m) with artificial snow production equipment. The medium-demanding downhill ski slope Holidaymakers´ (450 m) and the easy Tourist II (520 m) is only available if there is enough natural snow. The centre further offers refreshments in several refreshment stalls and a snowpark. The bottom lift station includes a ski, snowboard and bobsleigh rent. The upper part of the centre also offers ski running space. There is a signposted 5 km ski running ring in the surrounding of the Erika cottage. The track is treated once a week, mostly before the weekend, for classical as well as skating style. Otváracie hodiny ako aj termíny otvorenia a uzavretia sezóny sa každoročne líšia. 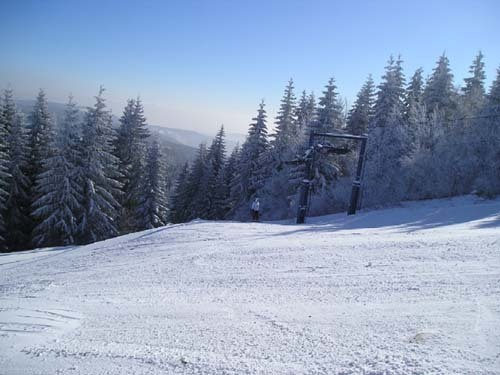 Aktuálne údaje sú dostupné na www.skiparkerika.sk.